Mix things up! Amazon has the Ninja 4-in-1 Kitchen System for $94.99 (today only)! It does blending, processing and spiralizing. This is the best Amazon price it’s been. 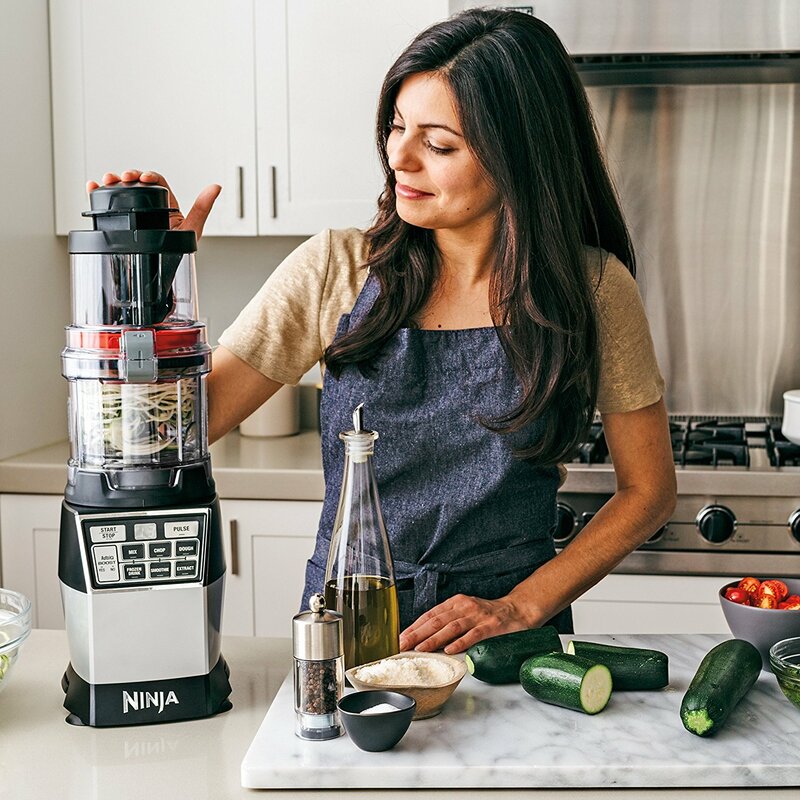 It includes one 1200-watt base, 4 high-performance attachments, 3 spiralizing discs -spaghetti, fettuccine and ribbon, and a 40-recipe book. Shipping is FREE. Deal is valid today, 4/24, only.